Hotel Apex ensures a pleasant stay while the tourists tour around the Walled city. The rooms are spacious enough to accommodate a set of sofa beside the window, making for the extra seating space. The windows are large and light streaming through these, brighten up the room. 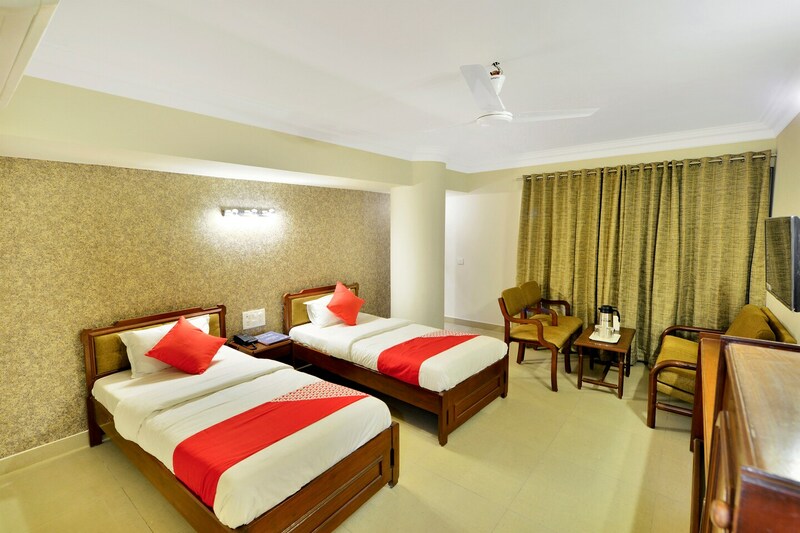 The hotel has a spacious parking lot and also provides free Wi-Fi services enabling the residents to connect with their friends and family. Many CCTV cameras are installed all around the place. Since it is located near the banks of river Sabarmati, tourists get an amazing view from the hotel. The railway station and bus depot are situated in the vicinity. People can enjoy the mesmerising beauty of the city during their stay.